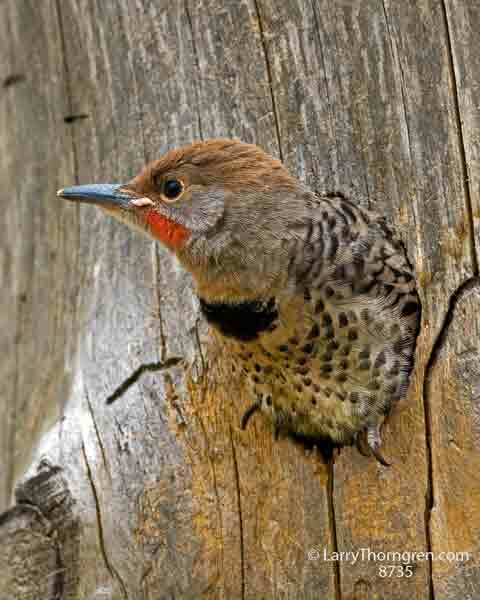 A pair of Flickers made a nest hole in a stump in my yard. They conveniently made it just at the right level so that I can sit in my blind and photograph them and their youngsters. This aggressive young male is waiting for the next delivery of food.